GOLD is a chemical element with the symbol Au and atomic number 79. It is a bright yellow dense, soft, malleable and ductile metal. The properties remain when exposed to air or water. Chemically, gold is a transition metal and a group 11 element. It is one of the least reactive chemical elements, and is solid under standard conditions. The metal therefore occurs often in free elemental (native) form, as nuggets or grains, in rocks, in veins and in alluvial deposits. Less commonly, it occurs in minerals as gold compounds, such as with tellurium as calaverite, sylvanite, or krennerite. 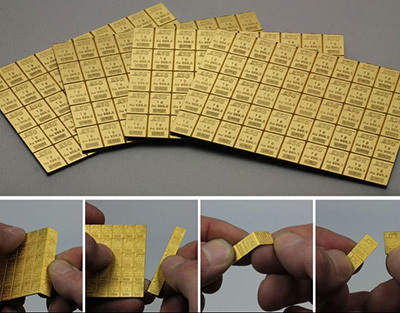 As the metallic native element mineral, gold structurally belongs to the isometric copper group. It also forms a solid solution series with the native element silver (Ag) to which it is often naturally alloyed (electrum). Other common natural gold alloys are with copper and palladium (Pd). Gold resists attacks by individual acids, but it can be dissolved by aqua regia (nitro-hydrochloric acid), so named because it dissolves gold. Gold also dissolves in alkaline solutions of cyanide, which have been used in mining. It dissolves in mercury, forming amalgam alloys; it is insoluble in nitric acid, which dissolves silver and base metals, a property that has long been used to confirm the presence of gold in items, giving rise to the term acid test. This metal has been a valuable and highly sought-after precious metal for coinage, jewelry, and other arts since long before the beginning of recorded history. In the past, the Gold standard has been implemented as a monetary policy, but it was widely supplanted by fiat currency starting in the 1930s. The last gold certificate and gold coin currencies were issued in the U.S. in 1932. In Europe, most countries left the gold standard with the start of World War I in 1914 and, with huge war debts, did not return to gold as a medium of exchange. The value of gold is rooted in its medium rarity, easily handling, easy smelting, non-corrosiveness, distinct color and non-reactiveness to other elements; qualities most other metals lack. A total of 186,700 tonnes of gold have been mined in human history, according to GFMS as of 2015. This is roughly equivalent to 5.6 billion troy ounces or, in terms of volume, about 9261 m³, or a cube 21.0 m on a side. The world consumption of new gold produced is about 50% in jewelry, 40% in investments, and 10% in industry. Besides its widespread monetary and symbolic functions, gold has many practical uses in dentistry, electronics, and other fields. Its high malleability, ductility, resistance to corrosion and most other chemical reactions, and conductivity of electricity have led to many uses, including electric wiring, colored-glass production, and gold leafing. American Gold Eagle - Wikipedia. Buy gold, they say - but how do you sell it? - The Telegraph. Canadian Gold Maple Leaf - Wikipedia. CASH4GOLD - international mail-in refinery that buys gold, silver and platinum primarily from jewelry. gainesville coins - "Gainesville Coins offers a wide range of gold and silver bullion and certified coins. One of the nation's largest and most trusted precious metal dealers. As a long standing veteran in the industry, our expert knowledge of gold and silver coins and bullion is backed by years of experience." GFMS | Gold Fields Mineral Services - leading independent precious metals consultancy specialising in global gold, silver, platinum and palladium market research. Became a part of Thomson Reuters in August 2011. GOLD - "News about Gold, including commentary and archival articles published in The New York Times." 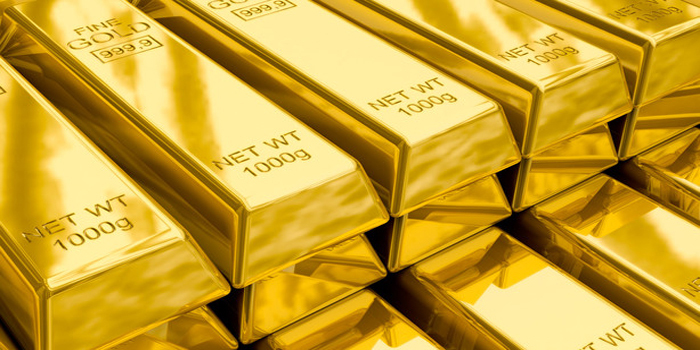 GOLD AS AN INVESTMENT - "Of all the precious metals, gold is the most popular as an investment. Investors generally buy gold as a way of diversifying risk, especially through the use of futures contracts and derivatives. The gold market is subject to speculation and volatility as are other markets. Compared to other precious metals used for investment, gold has the most effective safe haven and hedging properties across a number of countries." Gold Climbs to Record - Bloomberg. Gold is back. That's a worrying sign - "Gold has been a dud of an investment for much of the year, but it has started to regain some of its luster. The price of gold is up 3.5% since the start of October. During the same period, the S&P 500 has fallen 6.5%." GOLD PRICE - since 2002. "Where The World Checks The Gold Price." GOLD PRICE HISTORY - Gold Price. GOLD RALLYING TO US$1,500 - Bloomberg. Gold resurgence: who's buying gold & why - The Telegraph. Gold Rises After Donald Trump Claims Victory - The Wall Street Journal. Gold shops: coming to a high street near you? - The Telegraph. GOLDMONEY - "Buying Gold Bullion Made Easy." Harrods sells more gold in wake of Brexit - The Telegraph. HISTORIC GOLD PRICE CHARTS - "Daily, Weekly, One-Month, One-year, Five-year and Twenty-year." In a new year of economic uncertainty, gold is a bright prospect again - "A no-deal Brexit is only one of many potential threats sending traders fleeing to safe havens." In charts: has gold helped or hindered your portfolio? - The Telegraph. Investors 'go bananas' for gold bars as global stock markets tumble - The Telegraph. MKS FINANCE - "Top league in the gold market." Precious metals service provider. NIXON SHOCK - when President Richard Nixon ended trading of gold at the fixed price of US$35/ounce on August 15, 1971. ROYAL CANADIAN MINT - buy Canadian gold coins. Secret of gold finally found - "Precious metals are forged in cataclysmic collision of neutron stars." SUPER-RICH INVESTORS BUY GOLD BY TON - Reuters. THE BULLION DESK - Gold News. The gold bounce: more to come, or sell now? - The Telegraph. ‘The gold sector is a charade’: Randgold boss Mark Bristow digs in - The Telegraph. The pots of gold at the east edge of London - "Where the rich come to caress their gold - inside the UK’s sole refiner of gold and its biggest private vault." THE SOUTH AFRICAN MINT COMPANY - "One of the world’s leading mints and over the years has earned a worldwide reputation for its appealing designs, exceptional craftsmanship and the high standard of its quality coins." UK's largest gold nugget found by man who lay in Scottish river for hours - The Telegraph. United States Mint - "Connecting America through Coins." American Eagle Bullion Coins for Investors. US still holds $54 billion of Germany's gold - MINING.com.